Based on his username, [Horatius.Steam], it’s not a surprise that he calls this project a “SteamPunk” style binary clock. But we think using neon glow lamps in this binary clock is more of mid-century modern proposition. Either way, the finished look is sure to make it a conversation piece for your home. He doesn’t give all that much information on the bulbs themselves. 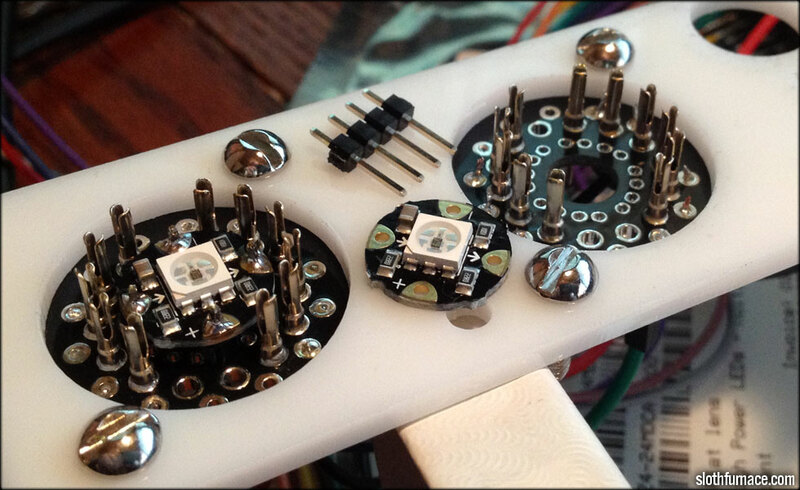 They seem to be neon glow lamps along the lines of a Nixie tubes. It sounds like they just need mains power (based on the image annotations for the relay board). The high voltage is switched by that collection of solid state relays. The controller board includes a DCF radio whose antennae is seen just below the controller. This picks up an atomic clock signal from Frankfurt, Germany. We think it’s a nice touch that he included a mechanical relay to simulate a ticking sound. That and the bulbs themselves can be turned off using the two switches in the base of the clock. 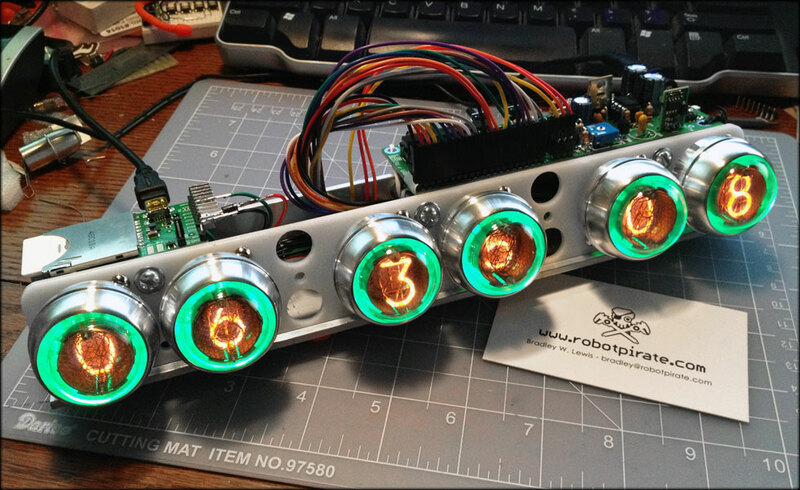 This seems like a good time to direct your attention to an artistic take on a Nixie clock. Quick quiz, what came before transistors? Why vacuum tubes of course. If this clock doesn’t make you thankful for the luxury of integrated circuits, nothing will. We had never heard of using Neon Lamps as logic circuits, and they definitely produce a much cooler effect when counting. And finally, we’re just suckers for a good Nixie Clock. The scope clock is also pretty interesting.